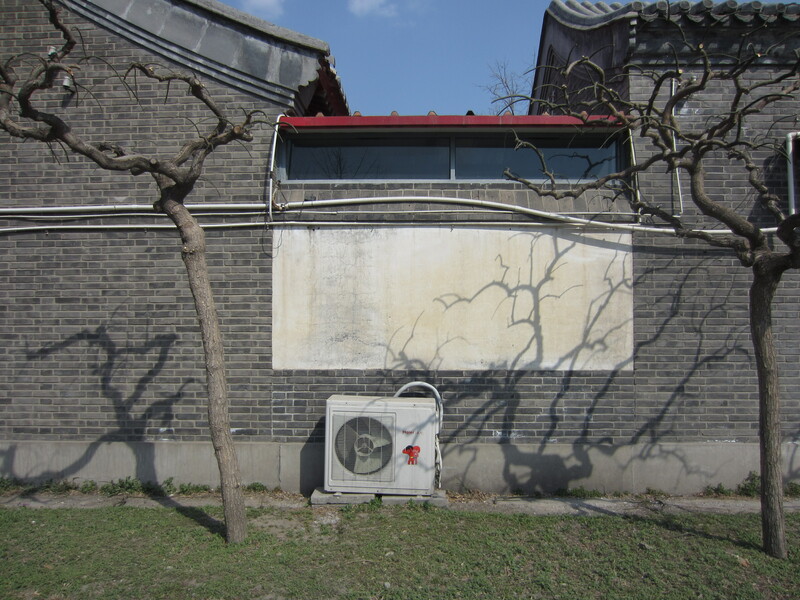 On our second day in Beijing we got to meet Qu from, the now gone but by all accounts wonderful, artist run, Homeshop. We spent a day wandering the city together asking, telling, asking, telling. 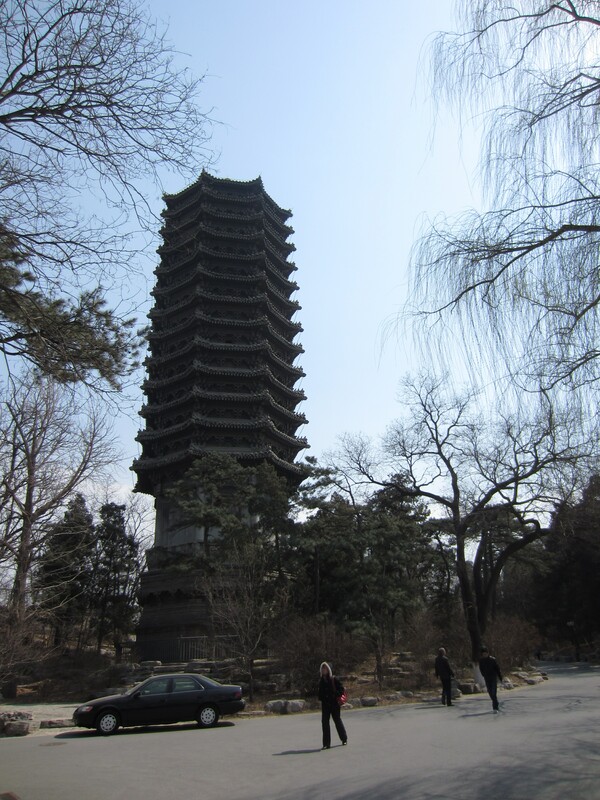 We walked through Peking University where old and new campus sit side by side. Anybody can go into lectures and participate in discussions with the classes and some owe their education to such opportunities. Groups who have discussion within the grounds have to be careful not to get split up. 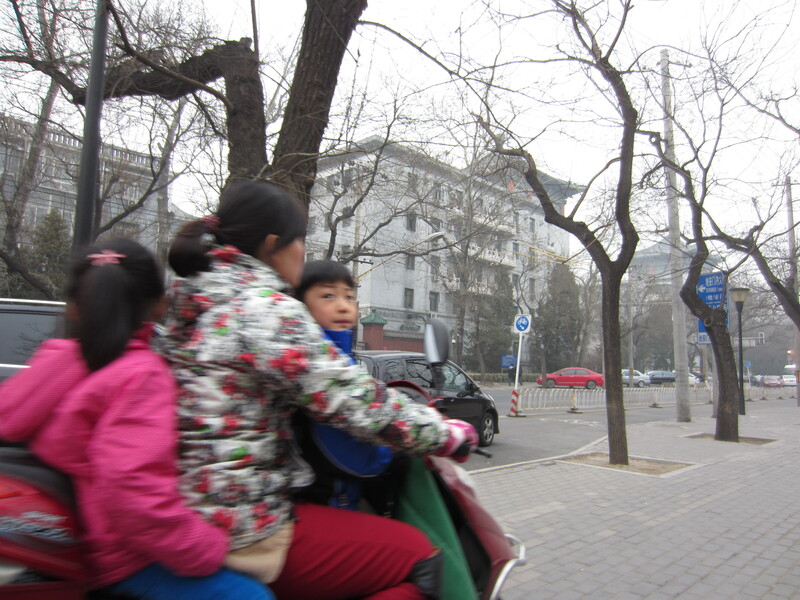 We walked through an area where people new to Beijing often live. New rooms built one on top of another, within old courtyards, tight alleys winding through the warrens. 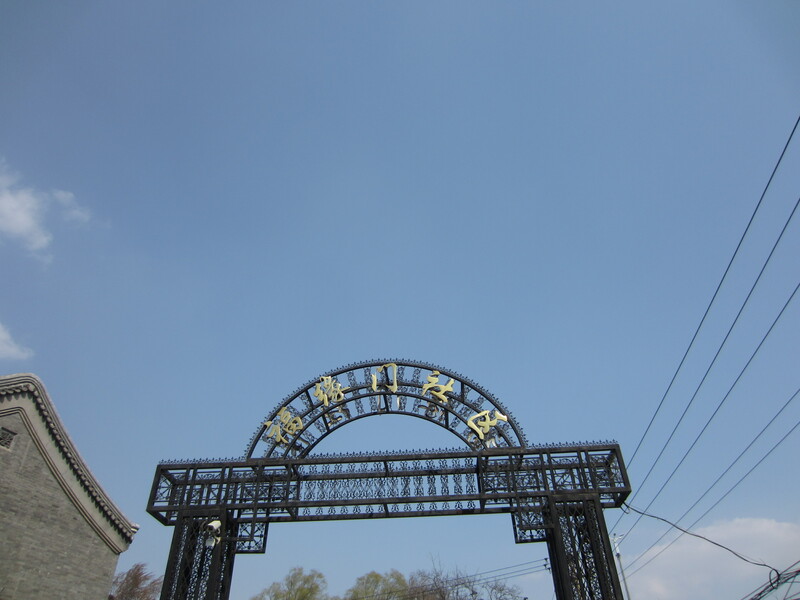 The gate in the picture above newly built at one entrance to the area. We visited a grand, pay-in park, just next door, where the ruins of buildings stand as a memory of the western razing after the opium wars. 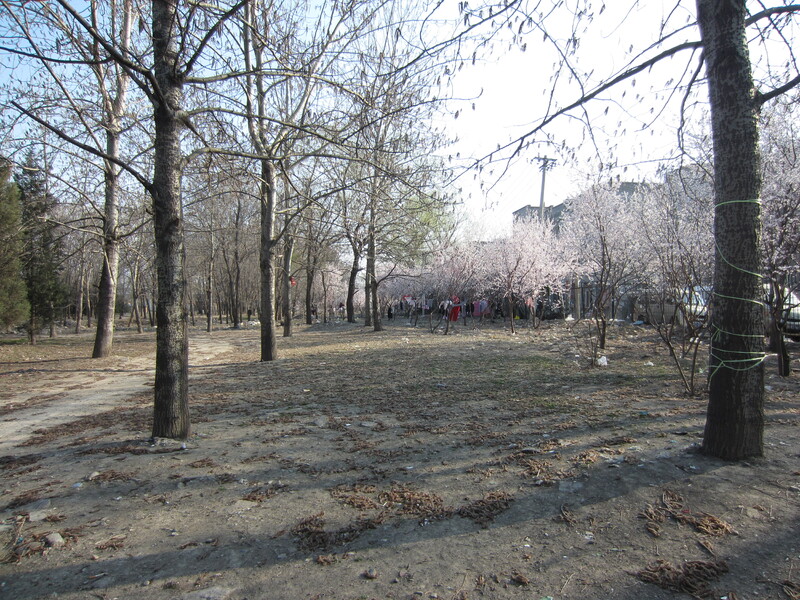 In the space between the warrens and the park, washing hung in the breeze under the blossom.